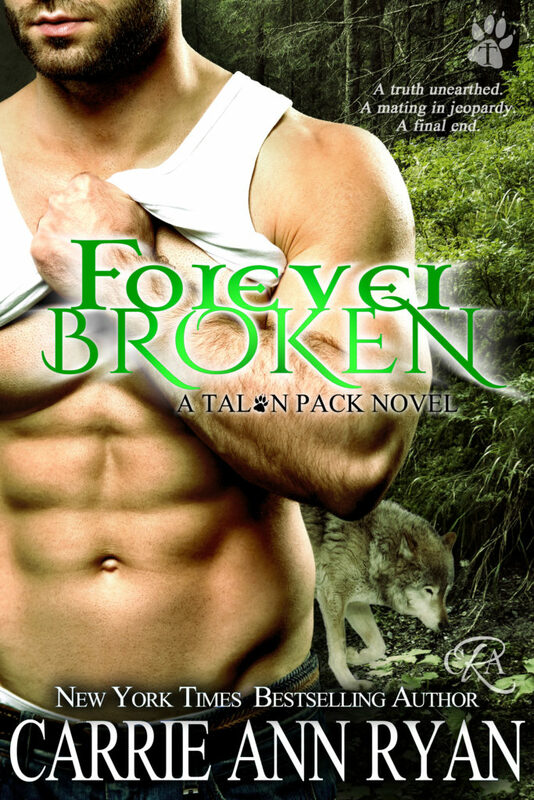 FOREVER BROKEN is book 9, the last, in the Talon Pack series. I suppose it could stand alone but really it’s better if all the books are read in order since each story is a part of the overall series arc. Cheyenne is a vet and the last human from her group of four friends, who have all found their happiness within the pack. But there’s a war brewing between the Talon Pack and the Aspen Pack. Blade, the alpha of the Aspen Pack, changes the course of Cheyenne’s life and the Moon Goddess steps in to create a mating bond between her and Max Brentwood, a wolf in the Talon Pack. Together, they must fight to defeat Blade and the Aspen Pack. There’s some other major subplots going on but I don’t want to give away any spoilers! I’ll say though that Ms Ryan does a fabulous job of world building, she’ll bring you into this fantastical world of shapeshifters and witches and goddesses and keep you entranced until the very end. This will sound cheesy but this series is like a scrumptious cake…each layer, or story, is precisely placed for maximum enjoyment. And I truly loved getting to know this Pack of extraordinary, charismatic heroes and their courageous, loyal partners. I’m so glad that we got to see many of the previous characters in this last book! The series was all wrapped up in a delicious layer of yummy goodness and I was sad to say goodbye. Cheyenne was a fabulous character: smart, loyal, loving. Her circumstances weren’t ideal but she persevered through it all, with no whining or complaining. Then there was Max. We’ve seen him throughout the series and I’ve been eagerly awaiting his happy ending. He was probably the most troubled wolf in the pack but again, he stayed devoted to his family and himself. I adored watching these two strong, truehearted characters come together! And I’ll admit to being pleasantly surprised by a certain twist that tied everything together. If you enjoy suspenseful, paranormal romance with great characters, twisty plots and terrific world building, then I highly recommend this series! Told mostly from dual POVs with a happy ever after. I voluntarily read and reviewed this book.